Today we celebrate Tax Day with the release of the latest Vault Accounting 50, a ranking of the best accounting employers to work for in North America. Recently, we asked more than 10,000 accountants to rate their peer firms in terms of prestige; we also asked them to rate their own firms in numerous workplace categories, including culture, work/life balance, hours, compensation, training, overall satisfaction, and business outlook. 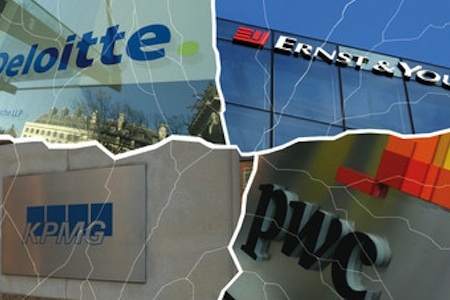 And in this year’s Accounting 50—which takes into account prestige as well as workplace category ratings—although there was some movement near the top of the rankings, the same firm came in at the very top: PwC. In addition, PwC ranked No. 1 in three new categories. This year, for the first time, we asked accountants to rate their peer firms in three practice areas: tax accounting, forensic accounting, and audit and assurance. PwC ranked No. 1 in all three. PwC also fared very well in our diversity rankings, earning the top spot for LGBT diversity, military veteran diversity, and overall diversity. And PwC rated higher than its Big 4 competitors (Ernst & Young, Deloitte, and KPMG) in nearly all of our Quality of Life Rankings, which are typically (and were again this year) dominated by midsize accounting firms. PwC ranked No. 2 in formal training, No. 4 in business outlook, No. 13 in firm culture (it jumped four spots in this category), No. 15 in work/life balance (also up four spots), No. 13 in compensation (up two spots), and No. 18 in overall satisfaction (which might seem like a less than impressive ranking but it was better than the rest of the Big 4 firms fared in this category). Despite PwC’s exceptional performance this year, it was challenged by a formidable opponent in Ernst & Young, which jumped two spots to No. 2 this year in the Accounting 50. New York-based Ernst & Young’s performance was bolstered by a strong showing in prestige: it repeated its position at No. 2 and saw its raw prestige score rise by 3 percent. 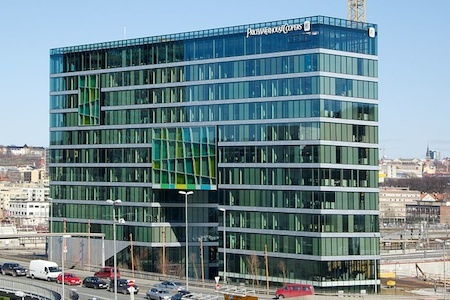 In addition, the firm showed a remarkable improvement in business outlook and compensation. It ranked No. 8 in business outlook after not making the top 20 last year, and ranked No. 2 in compensation after being shut out of the rankings last year. And here are the links to all of the new accounting rankings: Vault Accounting 50, Accounting Prestige Rankings, Accounting Quality of Life Rankings, Accounting Practice Area Rankings, and Accounting Diversity Rankings. To Big 4 and Mid-Size Firm Accountants, Which is More Important: Prestige or Culture?